As discussed in our previous article, the key to successful marketing for architects and contractors is to make sure potential customers find you—usually via Google search—when they need you, rather than targeting them with annoying (and expensive) ad campaigns. It’s the difference between traditional outbound marketing, which uses paid ads across a variety of media platforms, and inbound marketing, which allows people to discover you naturally online. Not only is outbound marketing very expensive, but it also has very poor conversion results. Far fewer people are fooled by pop-ups, cold calls and sales emails these days. So forget about reaching out to potential customers directly. Instead, you want people to come to you when they need your services. 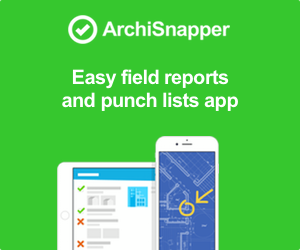 What do you think people do when they’re getting ready to hire an architect or contractor? Here’s what I think they do. They either call a friend and ask for a recommendation, or they do a Google search to find a trustworthy firm. The first option—getting existing customers to refer you to their friends—is mainly a matter of always doing your best work, offering top quality and service. It’s the “everything is marketing” philosophy that says that marketing is not confined to a single department. We’ll talk more about how over-delivering for your current customers is a top marketing channel in an upcoming blog post. But for now, let’s talk about the second option: Getting your name higher in the search results. Why? Because research shows that most people (4 out of 5, in fact) find local businesses through online searches. And as a small architect or contractor, you are a local business. When people search for your service, they will normally include your city or region in the search. 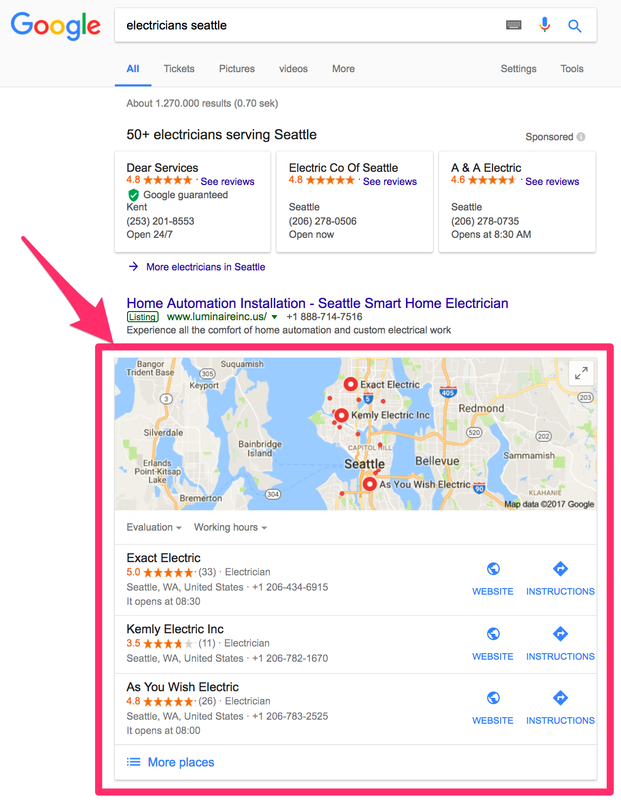 If you’re living in Seattle and you’re looking for an electrician, you’ll search for something like “electricians Seattle.” Let’s see what that pulls up. If you’re not ranking on the first page of Google results, you’re missing out on a lot of valuable website and/or blog visitors (all of whom are potential customers). As you can see in the graph below, the very first result gets a ton of traffic… but the numbers drop like crazy after that. So even if you offer the best service in town, ranking has potentially serious impact on your business growth—and you definitely want to be as high on the list as possible. Of course, getting top-place on Google doesn’t just happen overnight. 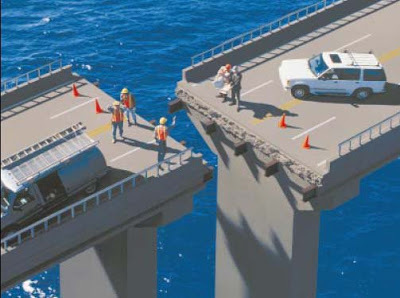 It takes more than just optimizing your website and hoping for the best. But there is some good news for us smaller, local firms! It’s much easier to rank on top for a local search compared to a global search. In this article, I’m going to share some practical tips on how to rank well as a local contractor or architect. And I promise it’s not rocket science. Nor will you need to be an SEO black belt. 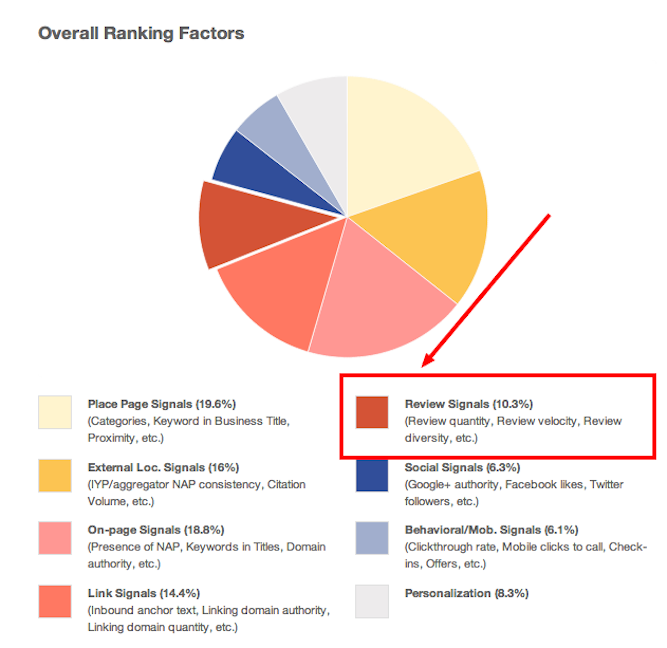 Ranking on Google… for which search terms, exactly? Your customers won’t type in those general keywords when searching online. They’re looking for local help, so they’ll likely run more specific Google searches. So the first thing to do is to think about the actual search terms your potential customers would use. Your potential customers will most likely search for a combination of the service you’re offering and your location or region. Trying to rank highly on Google for these more specific searches is absolutely possible. It won’t happen overnight, but it won’t take years either. It’s simply a matter of discipline and focus. If your firm is the one with the persistence and dedication to do the right things consistently month after month, then I can guarantee you’ll get good results. In SEO language, this is called working with long tail keywords. 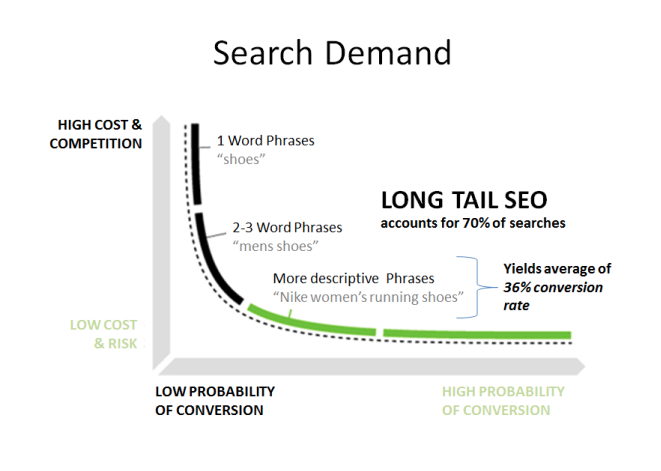 Working on these specific search variations, or long tail keywords, has two main advantages. First of all, there’s way less competition for these more specialized searches, which makes it easier to rank well. 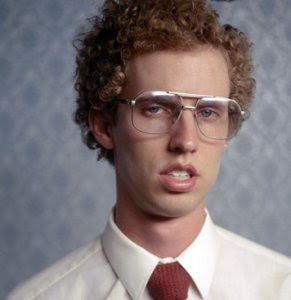 Say you’re an architect in region New York who specializes in sustainable construction. Also, the big national players hardly ever target these more specific Google search terms. 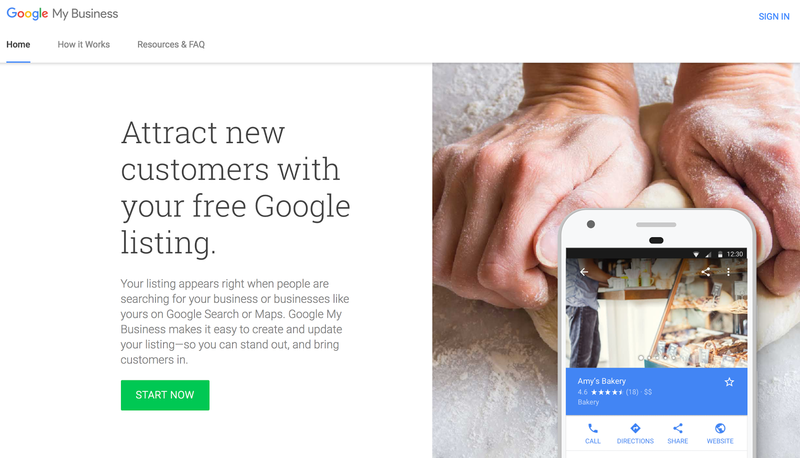 In fact, Google will automatically favor local businesses over national brands when it comes to local searches. Pretty cool, right? Secondly, the conversion will be much higher because given the specific search, your specific website and content will be closely aligned with what users are actually looking for. The search traffic will be targeted and engaged: visitors in the New York area who have indicated specific interest in your sustainable construction. That’s exactly the audience you’re looking for, and that audience will likely, given their specific search terms, be close to point-of-purchase. 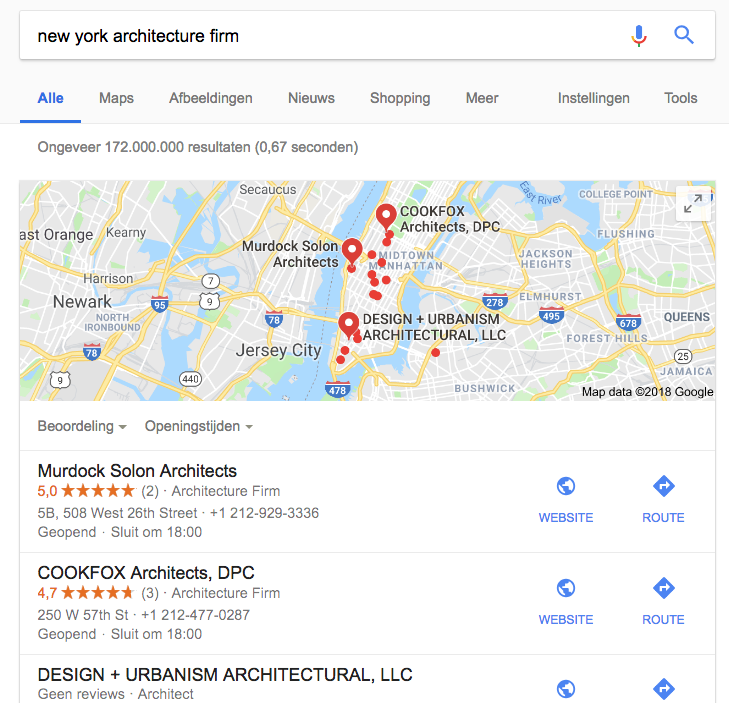 So here are five ways to get your architecture or construction business ranking on the first page of Google results for specific (long tail) keywords. Let’s dig into the nitty-gritty for each of these steps. I promise they’re all much easier than you think! This is probably the easiest and most important thing that you can do, and you can get started on it right now. So if you are short on time but want to get the ball rolling, make this step a priority! Creating a “My Business” page through Google has huge advantages that will help you move up in the search results. Google feels most comfortable sharing content it can support and verify. So if Google can verify that your business is authentic, it will potentially reward you by ranking it higher in local searches. As we mentioned above, small architecture and contractor firms are typically local firms. 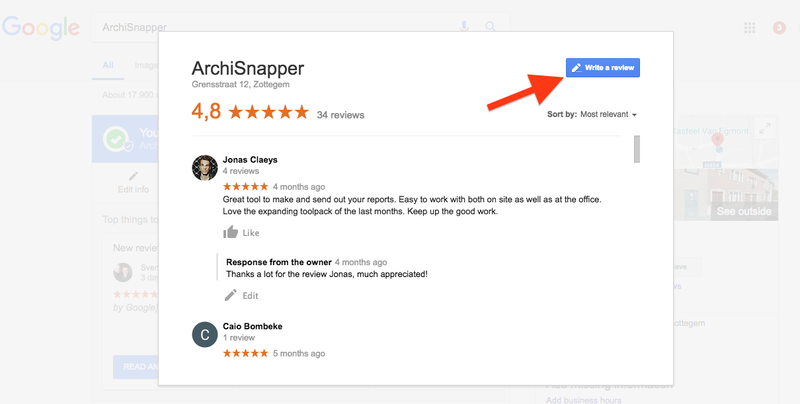 By adding the location of your business in your Google “My Business” profile and collecting reviews (see below), you can potentially end up in the local pack. There are only three spots available in the local pack so ending up there is pure gold. So, go do it now! It’s doesn’t require any technical skills and it’s super simple to get started—just click here. Fill in all the information and be sure to mention your “NAP details”: business Name, Address and Phone number. This is super important if you want to get into the local pack. I’d also advise you to upload a professional cover photo and profile images, which are especially important for a visual industry like construction. Here’s a useful guide with more info, tips and tricks for setting up your My Business page. As we have mentioned before, research has shown that local businesses can outrank big national brands in local pack placement, since Google favors homegrown firms over franchised corporations with many locations. So that’s great news for small architects and contractors, as it confirms that we, small local companies, have a chance to get into the local pack. Even if you don’t make the local pack, setting up your My Business page will help you to rank more highly as a local business in general. According to the 2017 edition of Moz’ Local Search Ranking Factors Survey, Google’s “My Business” feature continues to be the biggest driver of local SEO success. One of the best techniques for ranking well is to write super in-depth blog posts about your business and your expertise. Google’s algorithms are set up such that content marketing done well is, by far, the very best way to achieve a high ranking. So create useful, helpful, evergreen content, and watch your placement naturally soar! In Google’s eyes, users are the priority. That means if readers find your content valuable, Google will find it valuable, too. Given your experience, writing about your specialization should be relatively easy and your content will be very relevant. Whether your specialization is sustainable construction, public projects, industry projects, wood framing construction, home remodeling, or anything else under the sun, writing in-depth content on anything related to your expertise is a great strategy to help you rank on top. Write about your projects. What makes them successful? What challenges have helped you learn? Write about how you’re tackling certain problems, or about mistakes you’ve seen your peers make and learned to avoid. Another great brainstorming tactic: Ask yourself which questions your customers have, since they’re the ones you really want to reach in the first place. Write answers to your customers’ questions. For example, many of your prospective customers will probably ask about how you price your services, so why not write a blog post about it? People love this kind of transparency. Or let’s take the example of sustainable construction. You could write about what makes a building durable, simple construction tricks with a big sustainability impact, which materials are good and which aren’t and why, how to reduce waste during the construction process. Another advantage of blogging about your niche is that you’ll be perceived as an expert in this area. Pretty soon, people will come to your blog to learn valuable tips, tricks, and resources from you! Looking for more ideas and inspiration about what you can write about? Check out our blog post about inbound marketing for architects and contractors. 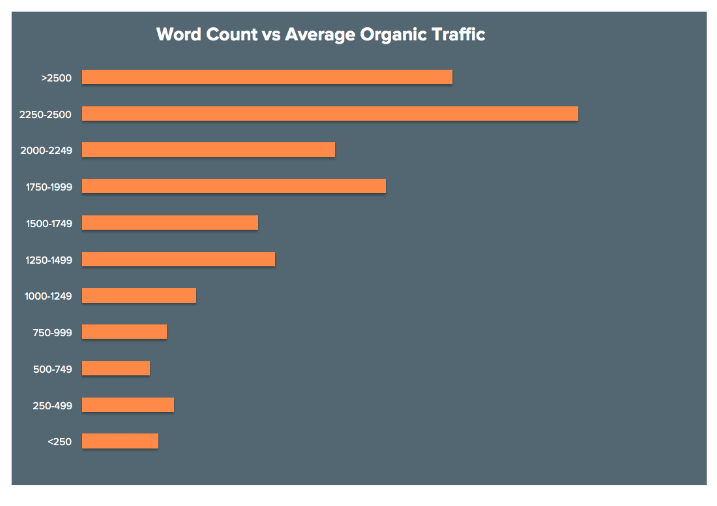 Before we move on, here are two more quick tips that will help your blog content rank higher. I recommend writing rather long posts, of about 1,500 words or more. Long, comprehensive and engaging posts tend to get more traffic (and shares). Think twice about blog titles. Secondly, when writing and publishing blog posts, don’t forget to take a moment to think about the title. Remember, Google’s goal is to propose content to readers/users that is relevant to their needs. The title is one way for Google to determine if an article is relevant for a particular search term. So you should put important keywords in the title of your blog post. Ideally, you want to put them toward the beginning of your title. For example, look at this Google search on roof repair tips. 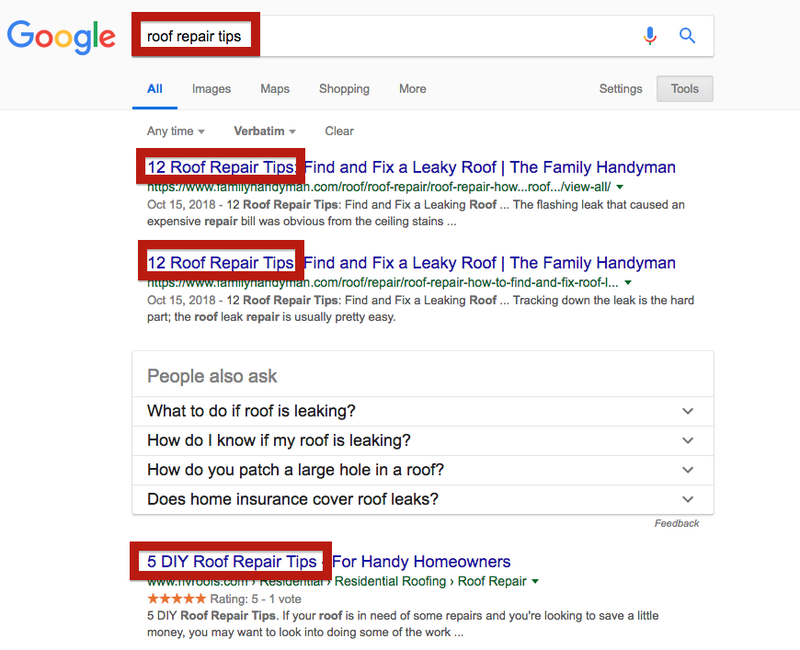 As you can see, the top three results all have “roof repair tips” at the beginning of their titles. Notice also that Google gives you suggestions for other blog topics—i.e., “People also ask… what to do if roof is leaking?” It’s like a pre-built suggestion box for your next blog posts. Super helpful! Search results favor businesses with demonstrable trustworthiness. And Google considers user testimonials and reviews to be trust signals. Remember that Google wants to provide users with the best possible results for a given search. That’s why business with favorable reviews will rank higher than business with bad reviews, or none at all. To put it simply, Google loves online reviews because customers love online reviews. 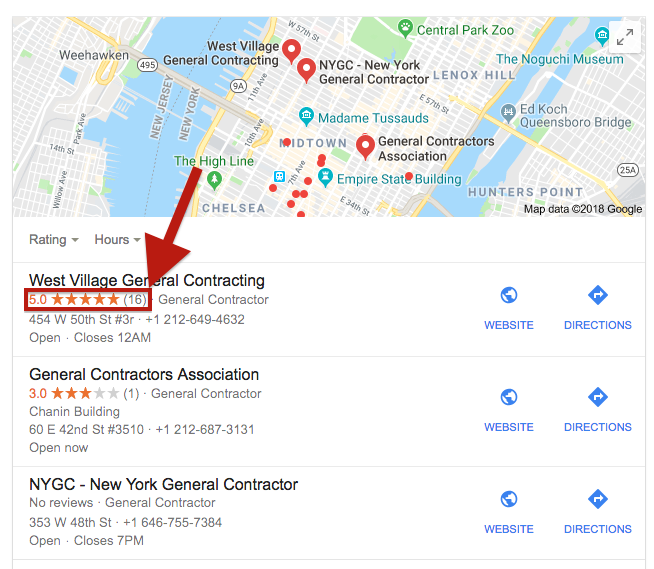 If you’re like most people, when you run this search, West Village General Contractor is the first firm you’ll check out. Why? Because they’re in the local pack and they get good reviews. Remember that selling is all about trust. Research shows that reviews play an important role in establishing trustworthiness: no less than 93% of consumers say online reviews have an impact on their buying decisions. When a project is finished and the customer is happy, you should make it a habit to send him a quick email asking for a review! That brings us back to the importance of always doing a great job and working hard to make your current customers happy. They will talk about it offline (in conversations with friends), but also online (in online reviews). Thanks for the wonderful collaboration on this project. It’s great to hear you are happy with the result! If it’s not too much trouble, I have a quick request: could you please give [company name] an honest review? Here’s a link. According to Moz, Google Reviews are believed to have the greatest impact on Google’s local rankings. This is a killer tip. Domains that contain location names tend to rank better in the area where the search takes place. This was the number-one insight from research done by Neil Patel about Google’s local search results. Adding your location into your business name—and more importantly your URL—has a big impact on search results. If you are a roofing contractor operating in Dallas, for example, Google will favor results that have “Dallas” in the domain name. Remember the importance of setting up a Google “My Business” page and collecting reviews to get in this local pack. 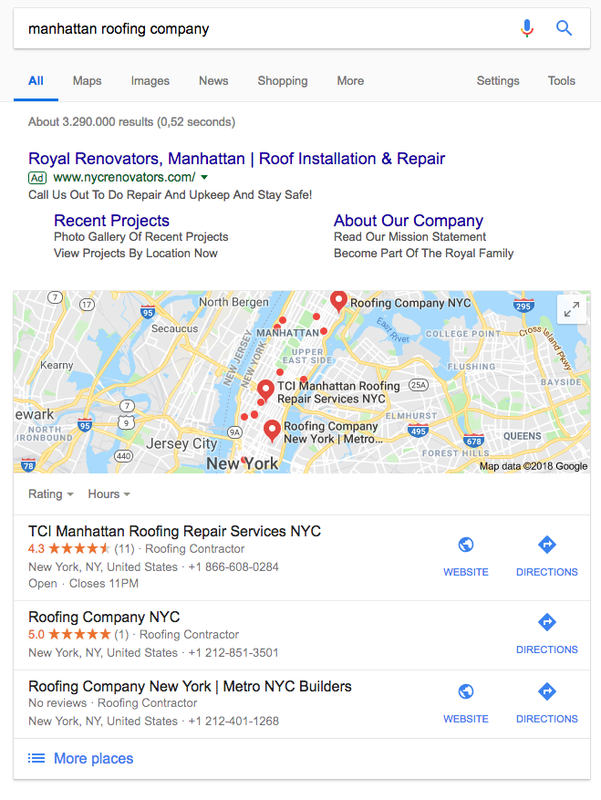 Also note that all three companies in the local pack have complete profiles (with “roofing contractor” as business type, as well as a listed phone number and address). 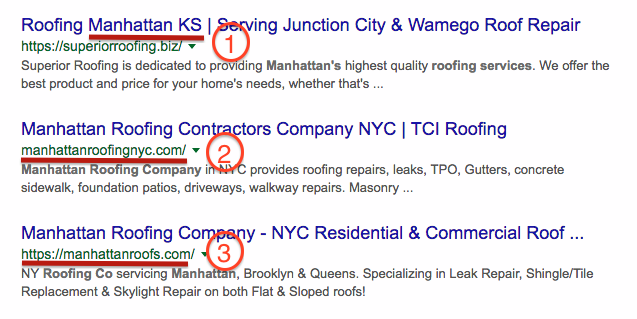 Notice that results 2 and 3 both have “Manhattan” in their URLs. Result 1 does not have Manhattan in the URL, but it has Manhattan in its website tag name, which is also great for SEO. Move over, desktops. The number of mobile browsers is exploding. 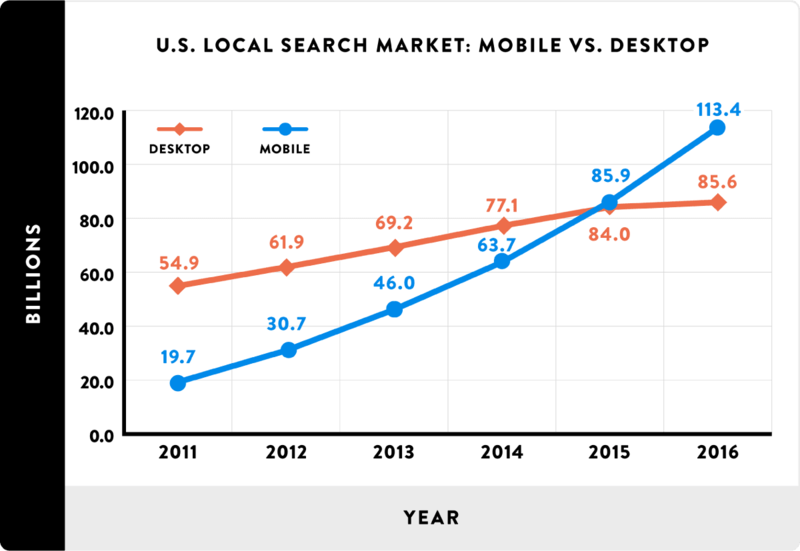 In fact, 58% of all Google searches are now done on a mobile device. So you need to make sure your website is mobile friendly, or more than half the people who check you out will leave immediately. Just look at the below example and tell me who you would rather do business with. Apart from scaring away mobile visitors, not having a mobile-friendly website will also harm your rankings. 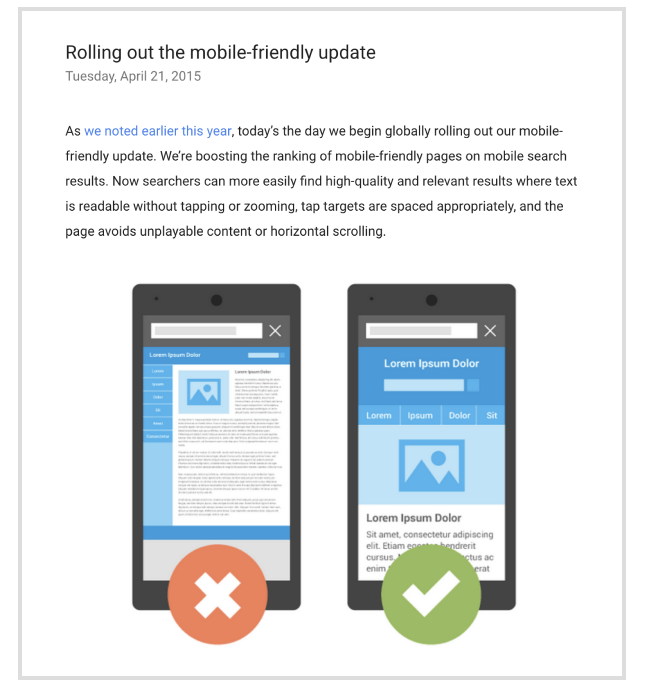 Google has started to penalise web pages that are not mobile-friendly with its mobile-first indexing. Finally, if you’re wondering why we’ve only talked about Google in this post, you should know that 95% of all mobile searches today are done on Google specifically. 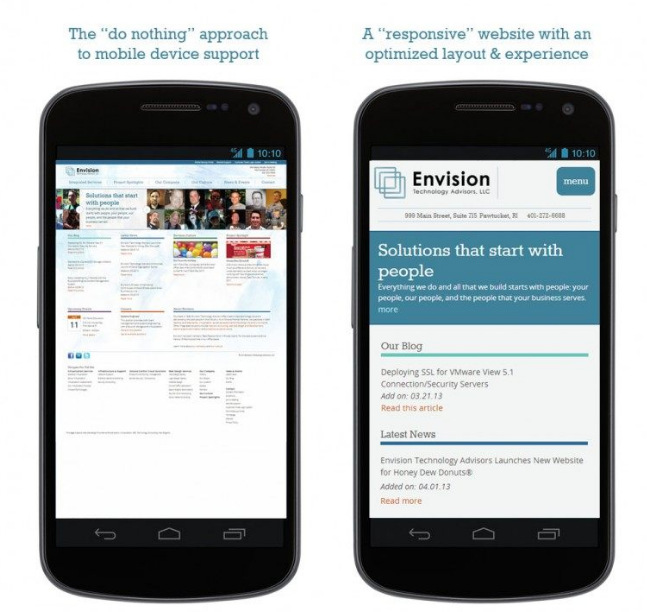 For tips on how to optimize your site for mobile search, check out this article or this guide. In this post, I’ve tried to stick to the easiest, most essential tips that will help your architecture or construction firm rank well on Google. If you run a Google search for “SEO tips,” for example, you’ll find a ton of articles with a boatload of information, and you might get very confused. If you feel that way about SEO in general, I would highly recommend starting with the five tips outlined in this article. They’ll offer you the best “value versus effort” return on your time and energy. Maybe you’re thinking, “This sounds great in theory… but when will we have time to do it all? Well, let me remind you of exactly how important ranking highly is for your business. Our lives are only becoming more and more digital. Online searches and reviews will have an even bigger impact on consumer buying decisions in the years to come. If you don’t rank on the first page when local users search for your service/specialization, you’ll be missing out on A LOT of potential customers. On the other hand, I wouldn’t want you to think about these tips as “hacks” to ranking high on Google and getting more business. Rather, they’re proven strategies for directing more potential customers toward your high-quality service. More than ever before, the customer is the one with real power in this internet age of ours. So you should focus on offering top-of-the-line service to your current customers, so they’ll come back for more—and also leave reviews and refer you to their friends. Already covered the basics as explained in this article, and interested in learning more? 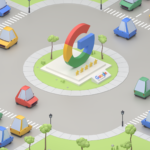 Check out this post by online marketing expert Neil Patel for more interesting tips on “local SEO,” and how ranking well in the Google search results can transform your business.